Holidays and special events help to add some excitement and variety to our lives. These special days stand out compared to all the others, giving people reasons to celebrate and have fun together. There are many different US holidays and special events held at all times of year, both on a national and state level. Every month brings new holidays and new reasons for people to have fun. April is a beloved month for many people in the United States. Spring is in full force at this time of year, with blooming flowers and new life blossoming all around. Most of the country enjoys warm weather at this time of year, providing the perfect conditions for holidays and celebrations of all kinds. Here are some details on some of April’s best holidays and special events. Celebrated in many countries around the world, April Fools’ Day always falls on the first of April. The history of this holiday goes back several centuries and April Fools' Day seems to have been celebrated as far back as the 16th century in certain European countries. As the name of this holiday suggests, April Fools' Day is all about making fools of other people, so a large part of the usual April 1 traditions revolve around playing pranks and tricks on each other. In recent years, with the development of the internet, global companies have also joined in on the fun and posted false stories or jokes online to try and trick their users. Easter can also occur in March but most often occurs in April. A very important date for Christians around the world, Easter is said to honor the day on which Jesus Christ returned from the dead after his crucifixion. It’s a time of celebration for Christians and also signals the end of the period of Lent, during which many Christians fast. The date on which Easter falls changes from year to year as it is said to occur on the first Sunday after the ecclesiastical full moon that occurs on March 21 or the days that follow. Easter has connections with other religious festivals too, notably the Jewish holiday of Passover. Christians celebrate Easter in many different ways, often involving church festivals and services, but nowadays, even non-religious people enjoy this April holiday. A common tradition is the giving and eating of chocolate eggs, which symbolize new life and birth, themes commonly associated with spring-time. The ‘Easter Bunny’ character has also become associated with this holiday, which is very popular among children. 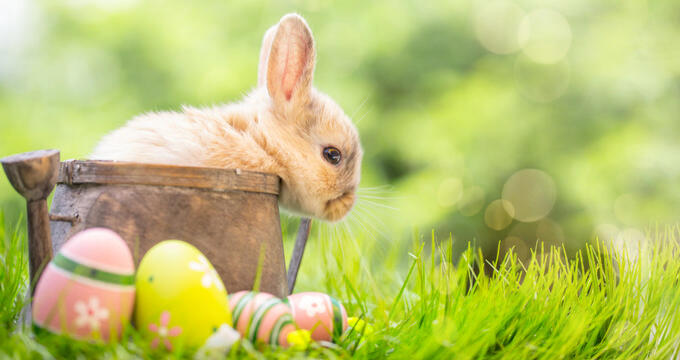 Kids can enjoy Easter egg hunts in backyards or parks on this day of the year, with special hunts also organized for adults in certain locations. This annual holiday is celebrated in many states and celebrates the first important battles of the Revolutionary War: the Battles of Lexington and Concord. The history of the holiday goes back many years and is an important day for American patriotism. The four states of Wisconsin, Connecticut, Maine, and Massachusetts officially observe this holiday in some form or another, while the state of Florida also encourages people to celebrate Patriots’ Day, with many other states also paying homage to this special day by flying American flags and performing patriotic acts. Re-enactments of the famous battles occur in some locations and this is also the date at which one of America's most iconic sporting events, the Boston Marathon, is held. Fitting celebrated all over the world every single year on April 22, Earth Day is an annual celebration of our home planet. Many different events are held to celebrate Earth Day, which is honored by over 193 countries all across the globe. The holiday was first celebrated back in 1970, a year after a terrible oil spill off the coast of California that led to the death of thousands of animals, including dolphins and seals. At the time, the US was the only nation to really celebrate the event, but it grew over the years to include many more countries. Special events held in 1990 and 2000 helped to boost the popularity of this holiday and raise awareness about environmental issues. Various songs have been recorded by multiple artists to celebrate Earth Day, with concerts and live events being organized each year too. The idea of Earth Day is to encourage people to be thankful for the Earth and make stronger efforts to protect and preserve it for future generations. Notably, in 2016, the highly important Paris Agreement was signed by over 100 countries on Earth Day.